This is such a hilarious video that makes an AMAZING point! Laura Klassen, the founder and director of the pro-life advocacy group Choice42, recently posted an amazing YouTube video honoring World Down Syndrome Day. Using hilarious satire, she enlightens viewers of the crazy eugenics logic behind aborting down syndrome babies. 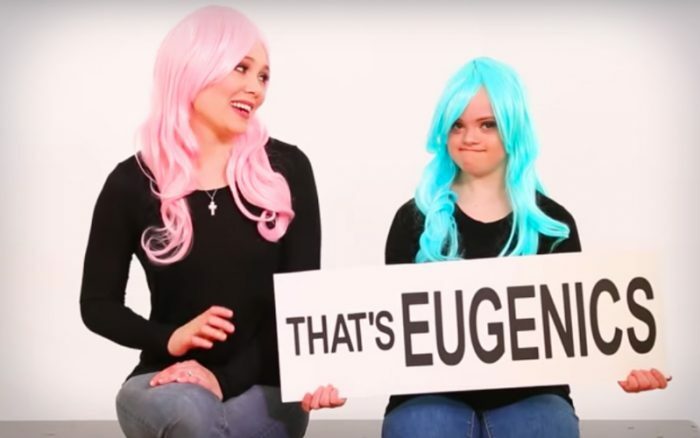 Klassen narrates the video while sitting beside an anonymous, young, down syndrome girl with blue hair. She continues, “I totally respect and value you as a human being…now. But before you were born, it was a completely different story. Just saying. She then continues with an amazing mockery of eugenics. What a great video! What did you think?